Suburbs of Riverton: Cinnaminson, Cinnaminson Township. 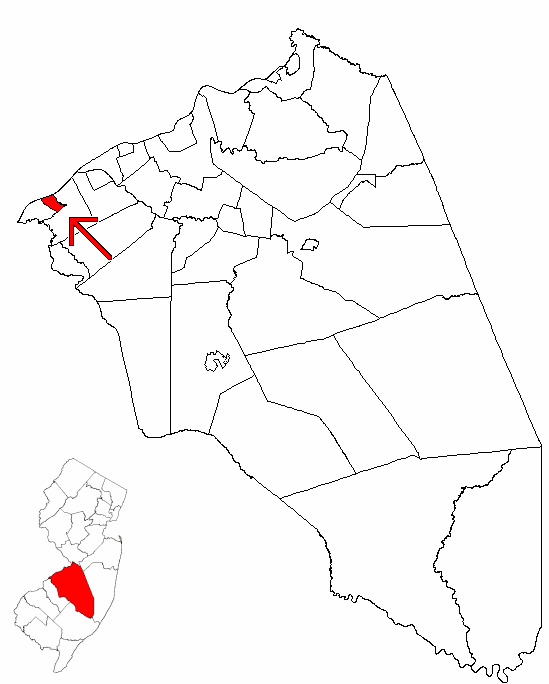 Riverton is also known as: Burlington County / Riverton borough. Their current mayor is Mayor Mary Longbottom. Zip codes in the city: 08076, 08077. Some of the notable people born here have been: (hal wagner), (philip slater), (lloyd carpenter griscom), and (charles wellford leavitt). Riverton is a borough located in Burlington County, New Jersey, United States. As of the 2010 United States Census, the borough had a total population of 2,779, reflecting an increase of 20 (+0.7%) from the 2,759 counted in the 2000 Census, which had in turn declined by 16 (-0.6%) from the 2,775 counted in the 1990 Census.Riverton was incorporated as a borough by an Act of the New Jersey Legislature on December 18, 1893, from portions of Cinnaminson Township, based on the results of a referendum held six days earlier. Portions of the borough were taken to form Palmyra Township on April 19, 1894. The borough's name is derived from The Riverton Improvement Company, which was established after a group of ten purchased a 120-acre (49 ha) that would be the site of a planned community with homes erected for many of the founders along the riverfront.It is a dry town, where alcohol cannot be sold. The borough's dry status was an early character of the borough, with a clause inserted starting in 1952 by the Riverton Improvement Company into deeds for all properties in the community that prohibited the sale or manufacture of alcoholic beverages.The borough is located on the Delaware River and is pedestrian-friendly, with sidewalks, gas lamps, and Victorian architecture. Riverton is home to the Riverton Yacht Club, one of the oldest and still active yacht clubs in the country. Many residents' sailboats make their home at this landmark. It was reported by The Daily Journal on April 23rd, 2014 that Gloria M Bindewald (Schafer) perished in Riverton, New Jersey. Ms. Bindewald was 88 years old. Send flowers to express your sorrow and honor Gloria M's life. It was revealed on March 13th, 2014 that Janet Anne Springer died in Riverton, New Jersey. Springer was 80 years old and was born in Providence, RI. Send flowers to express your sorrow and honor Janet Anne's life. It was reported on May 24th, 2013 that Walter H Drew passed on in Santa Rosa, California. Drew was 89 years old and was born in Riverton, NJ. Send flowers to share your condolences and honor Walter H's life. It was noted by Courier Post on August 10th, 2011 that Harry W Richman passed on in Riverton, New Jersey. Richman was 81 years old. Send flowers to express your sympathy and honor Harry W's life.
. In 1916, Japanese beetles, now a widespread insect pest in the United States, were first discovered in a nursery near Riverton. The "Riverton Wristwatch" was developed here. Riverton is a Borough (New Jersey) located in Burlington County, New Jersey County, New Jersey. According to architectural historian Henry Russell Hitchcock, Riverton was the first totally planned residential subdivision in America. The official website for the city of Riverton is http://www.riverton-nj.com/. Relatives and friends are invited to visit from 9 to 11 a.m. Saturday, Nov. 6, at Weber Funeral Home, 112 Broad Street, Riverton, where service will follow ... Suite 300, Marlton, NJ 08053 Weber Funeral Home, 112 Broad St. Listing all funeral homes in Riverton, New Jersey so you can easily send flowers to any location (same day delivery) or find any funeral service. Find a Funeral Home inRiverton, New Jersey NJ to provide the caring burial and ceremonial services your family deserves.